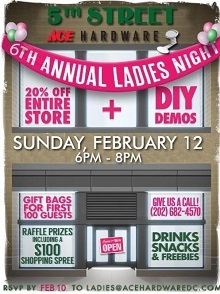 The MVT CID is proud to team up with 5th Street Ace Hardware for one of the most popular events of the year, Ladies Night, on Sunday, February 12 from 6-8 PM after store closing! Each year, 5th Street Ace hosts Ladies Night to empower women and teach basic “do-it-yourself” (DIY) projects for their homes. During the event, guests receive 20% off all regular-priced merchandise while enjoying complimentary wine and appetizers, DIY demos by product vendors, raffle prizes, giveaways (including gift bags for the first 100 guests), and socializing with neighboring businesses and residents. RSVP today for two free raffle tickets when you join 5th Street Ace’s Facebook page; one free ticket for joining the Facebook event page; and one free ticket when you RSVP via email! 5th Street Ace works to expand the local impact of store events by partnering with neighboring restaurants, residential buildings and retail shops. If you own or manage a retail business, residential building or restaurant within the MVT CID and are interested in partnering for Ladies Night, please contact Courtney Belew and read this letter outlining partnership opportunities. The fine print: *Regularly priced merchandise only. Sale not valid on power tools, grills, patio furniture, Yeti Branded Products, Big Green Egg Grills or Weber Grills. Additional exclusions may apply. Customer parking is available in Safeway lot located beneath the store, free 30-minute parking validation at checkout. The MVT CID is closely monitoring potential impacts on our neighborhood due to the upcoming inauguration and related activities during the weekend of January 20. Based on current info, the MVT CID falls outside of the secure perimeter for the Inauguration swearing-in ceremony and we expect to experience nominal impacts. 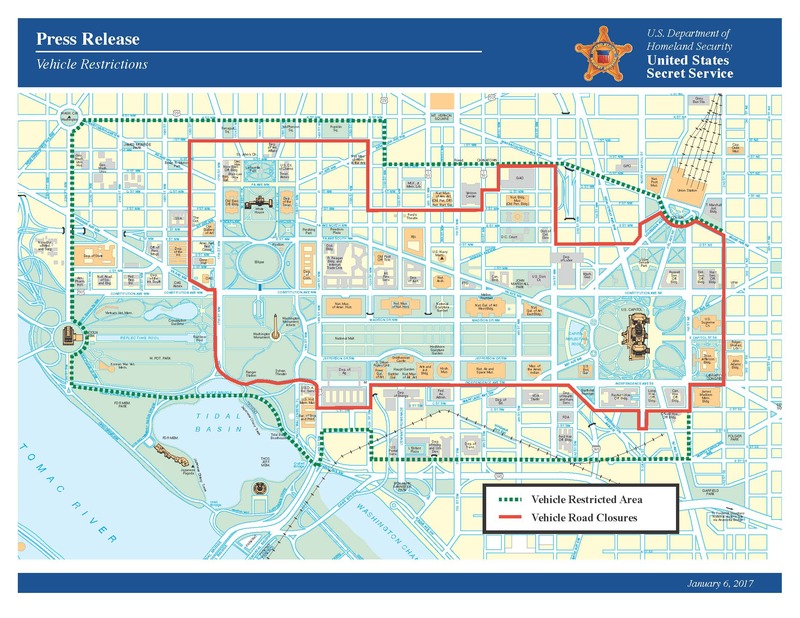 However, because of Inauguration activities occurring in adjacent areas, including the Walter E. Washington Convention Center, there will be associated traffic delays, parking restrictions and security measures that extend through western-most portions of the MVT CID as early as midweek. Scroll to the “Washington Convention Center” section in the 2017 Presidential Inaugural Subcommittees’ Joint Transportation Plan to learn what areas within the MVT CID are scheduled to be impacted. The “Women’s March on Washington” on Saturday, January 21 is anticipated to produce no impacts to MVT CID traffic operations. As noted by the District, “(A)ll street closures are subject to changes due to prevailing public safety concerns, traffic patterns that could adversely impact public safety, additions of events, or changes to the schedule.” Please continue to monitor the Presidential Inauguration page on the DC.gov website for all the latest information on street closures and other important information. Note: The Mount Vernon Square Metrorail station will be closed on Inauguration Day (Friday, January 20). 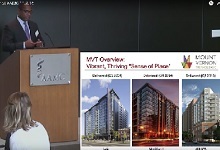 In support of the MVT CID’s role in the areas of economic development and commercial attraction, video of a recent presentation by President & CEO, Kenyattah Robinson, at a luncheon hosting more than 75 DC-area office and retail brokers was recently released to extend the reach of those efforts. The presentation, which includes discussion of the key physical qualities and demographic trends that have fueled the MVT CID’s explosive growth, is being utilized to continue the conversation with commercial brokers as they work to plan future real estate needs with their clients. We invite you to view the video to gain a better understanding of the planning attributes and characteristics – including the MVT CID's unbeatable central location, unparalleled accessibility, and thoughtful planning as a carefully coordinated mixed-use community – that have fueled our emergence as a vibrant, thriving sense of place and led six organizations to make the Mount Vernon Triangle area the “destination of choice” for their headquarters relocations! 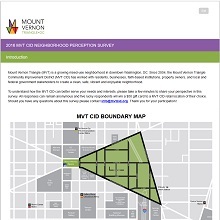 Thank you to the more than 550 residents, office workers, business owners and visitors who participated in the 2016 MVT CID Neighborhood Perception Survey. We appreciate the time taken by every survey participant to share their honest and candid feedback and will be working in the coming weeks to analyze and integrate the information into our strategic and operational planning for 2017 and beyond. Please stay tuned for a summary of survey results and action plans in response to your feedback. And congratulations to the five lucky recipients – four residents and one commercial office tenant – randomly selected for a $50 gift card to an MVT CID restaurant or retail location of their choosing! We are very excited to welcome back The Historical Society of DC, which reopened to the public on Tuesday, January 17 at the Carnegie Library after a temporary closure to remediate mold found in two areas of the building. The building has been tested and cleared and will be ready to welcome visitors with exciting new exhibits and learning opportunities. Click here to check out all of the upcoming events, tours and exhibits!